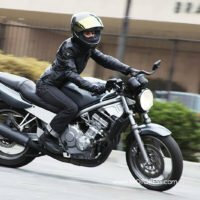 Braking with anti lock brakes – ABS – on your motorcycle is a terrifically satisfying feature and to your riding experience. 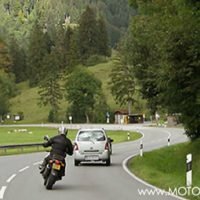 Motorcycle ABS reduces stopping distance substantially as Austrian Safety and Prevention Board proved in their 2002 study. 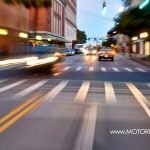 In fact 26% of all motorcycle accidents with injuries can be prevented with ABS. It was also concluded that 31% of all motorcycle accidents with injuries, collision speed can be reduced with ABS. 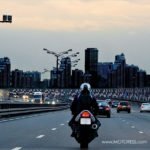 Positive results for motorcycle riders! Yet braking with anti lock brakes doesn’t mean that you’ll be a stopping pro. However, once you’ve become accustom to ABS, it is definitely a feature giving incredible results and added “peace of mind” to your riding confidence. Anti Lock Braking Systems (ABS) can vary in certain circumstances depending on the ABS manufacturer and the type of motorcycle. Here are some tips for braking with ABS. The important ruled to remember is to use your braking technique as if you didn’t have ABS on your motorcycle. 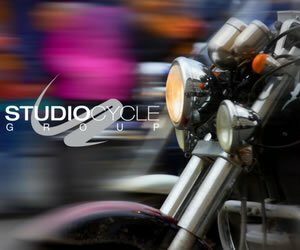 Note: The behaviour of ABS systems can vary in certain circumstances depending on the ABS manufacturer and the type of motorcycle. 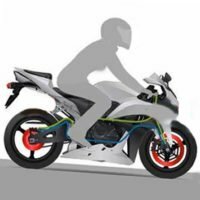 This is due to differences in the ABS system itself, but also the way the motorcycle is designed by the manufacturer and the different ABS modes. Begin braking by pressing the rear brake lever while pulling in on the front brake lever quickly, but not abruptly. Once the brake pads are engaged, increase the braking pressure quickly, and in significant amounts. When performing a full braking manoeuvre, remember to set the bike straight; brake on straight course within the ABS control range. Depending on the model, you can tell that the ABS has kicked in through a gentle pulsing on the hand and foot brake levers, as well as a tacking sound. When performing a full braking manoeuvre, always disengage the clutch at the same time. Always pay attention to the rear of the motorcycle when performing a full braking manoeuvre. If you feel the rear wheel lift, you then reduce the braking pressure on the front wheel as quickly but smoothly as possible. This does not mean let go of the lever, simply reduce pressure. Modern ABS systems can support the driver in this regard. The generation nine motorcycle ABS systems from Bosch all feature intelligent rear-wheel lift-up control and have been developed to help braking at full power in all emergency braking situations when traveling in a straight line. The best preparation for an emergency is quite simply that, preparation. Therefore make it a practice of braking in the ABS control range regularly on your rides. This will allow you to use the anti-lock braking system to its full potential in the event of a serious incident. But first, practice and explore your own motorcycle’s ABS under the support and supervision of a qualified instructor. Modern ABS Systems control the rear too. Even if the rear wheel is lifting up the system is reducing the breaking pressure in the front to prevent a complete “stoppie” which usually ends in a crash with us once in a while none professional rider. And since 2013, ABS systems with the capability of doing ABS breaking in curves (leaning in a curve an pulling the break lever) are more an more available at the high end motorcycle from KTM, Honda and BMW. See the BMW S1000XR at your dealership in end of June, that has the newest set of electronic helper.